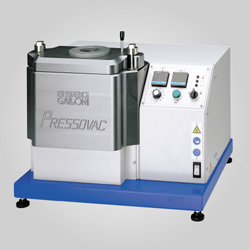 Diamond particles are electroplated onto stainless steel for unsurpassed quality and durability. Medium diamond grit is excellent for stone carving, cleanup work, glass, ceramics and metals. 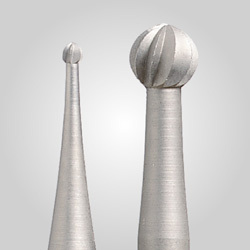 Always use water or our Lubricant/Thinner when using diamond burs. 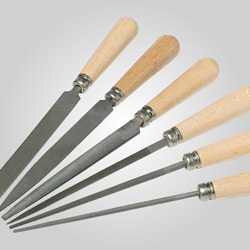 Measure 1-3/4" overall length with 3/32" stainless steel shanks. Maximum operating speed: 30,000rpm. 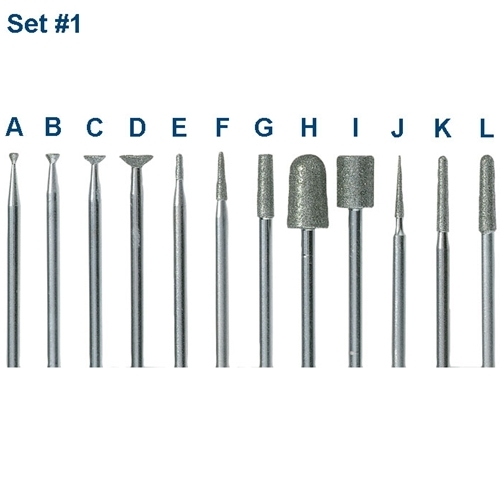 Set # 1 contains 12 burs, 1 each of styles 1A through 1L. Set # 2 contains 12 burs, 1 each of styles 2M through 2X. The Master Set contains 20 burs: 1 each of 1A, 1B, 1C, 1D, 1F, 1G, 1H, 1I, 1J, 1K, 1L, 2M, 2O, 2P, 2Q, 2R, 2T, 2U, 2V, and 2X.